have positive impact on lives of each one of us. 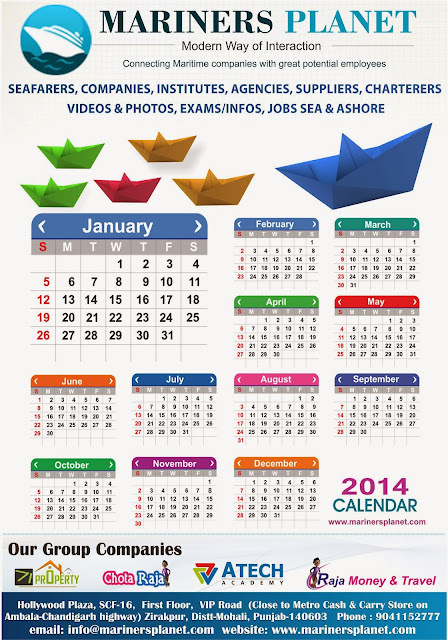 Please find attached “CALENDAR – 2014” with positive & vibrant hopes for the coming year. Thank You for being associated with Mariners Planet in all possible ways.